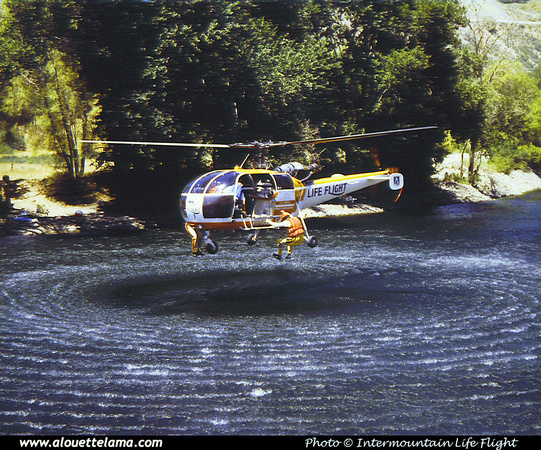 Helicopters (NZ) Ltd; reg cld as sold to the U.S.A.
N1044N Eurocopter (Aérospatiale) SA319B Alouette III Astazou MSN 2273, Rocky Mountain Helicopters, opf Intermountain Life Flight - Utah - Photo Intermountain Life Flight. 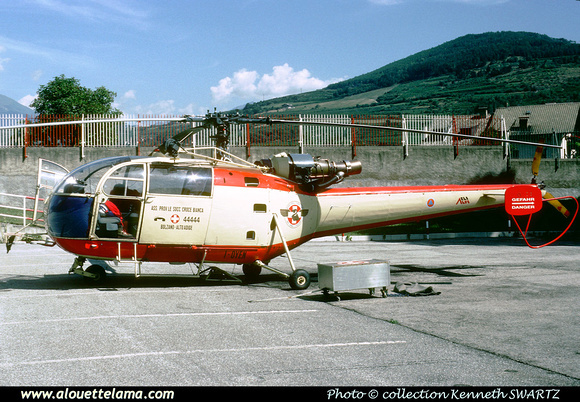 I-OYEN Eurocopter (Aérospatiale) SA319B Alouette III Astazou MSN 2273, Eli Alpi - Italy - 09-1992 - Photo Kenneth Swartz collection. Dernière mise à jour/Last update : 25-05-2013. L'usage des logiciels Firefox ou Safari est recommandé. The use of Firefox or Safari browsers is recommended.